Our ad rates are $30 a month, with no long term commitment. 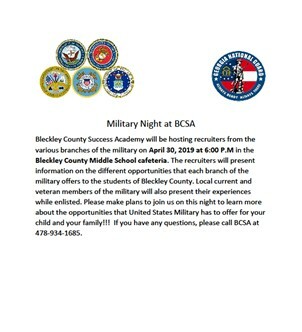 Call (478)230-6556 or email BleckleyProgress@aol.com for details. Web statistics available upon request. The Bleckley County Retired Educators will hold their final monthly meeting until fall May 1 at noon in the main room of the county extension office, 165 E Peacock St. Contact Kathy Jones, (478)230-7047, by April 28 to confirm your meal. Cold and windy conditions didn't stop hundreds of children from attending Christ Chapel Cochran's annual helicopter egg drop held at the rec. department. They enjoyed an hour of games and fun before watching a helicopter drop eggs onto the back football and soccer fields. 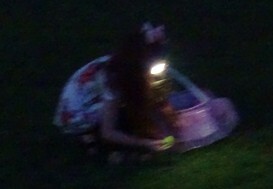 The children then raced out to collect the eggs. Christ Chapel will hold a sunrise service at 7 am, followed by services at 9 and 10:30. A fun start to Easter weekend. 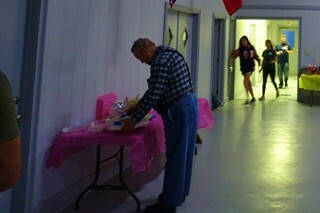 The Easter weekend got off to a fun start at Empire Pentecostal Holiness Church Friday night. 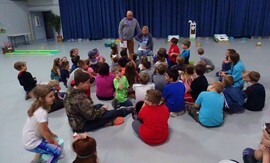 Following a hot dog dinner, children heard a brief devotional on the Easter story. 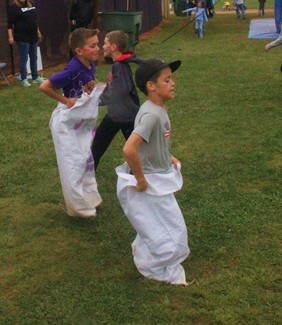 Youth then went on a scavenger hunt while children hunted eggs. Part of that was the annual flashlight egg hunt done for children ages 5-12. Sunday's Easter schedule includes a 7 am sunrise service followed by breakfast, Sunday school, and the Easter play at 11 am. The Board of Regents approved a new master's degree program that will make it easier for practicing occupational therapy assistants to get their master's degrees. Click for more. All content © BleckleyProgress.com and its contributors.